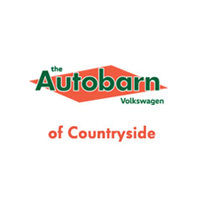 Why Buy a VW Passat from The Autobarn Volkswagen of Countryside? At our Countryside Volkswagen dealership, you’ll be impressed with our vast inventory of stellar VW cars, including the new Volkswagen Passat. Our sales team is dedicated to 100% customer satisfaction, working with you to find the best car for your needs, along with a finance plan that fits into your budget. Apply for financing online today to get started, and then give us a call to make an appointment for a test drive. We’re located in Countryside, IL — not far from LaGrange — and we also have a wide selection of used VW Passat models as well. Unsure if the Passat is right for you? Compare it to the VW Jetta.